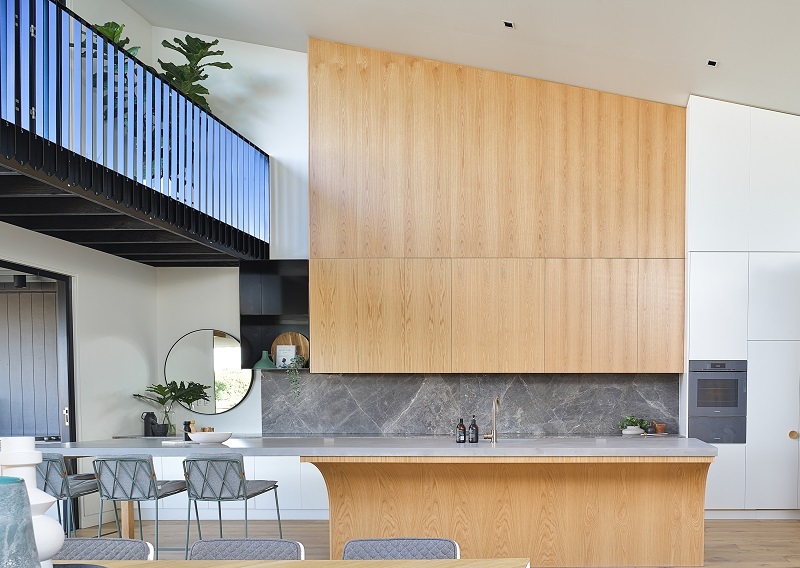 Industrial design meets contemporary living at The Russet House, located in the tranquil suburb of Paddington in Brisbane, Queensland. Built by Rob and Andrew Gray from Graya Constructions. The Russet House provided an opportunity for Rob to create his ultimate dream home, which he and his wife Meghan now reside in. The overall design embodies a strong colour palette of russet and copper, which pays homage to the properties’ name. With its contemporary architecture and luxurious design, the home spans across four levels, accommodating five bedrooms, four spa-style bathrooms, two rumpus rooms, butler’s pantry, fireplace, underground car park and sauna. “The Graya philosophy is about quality design and finishes, and when it came to sourcing product and materials for the build, these elements were key,” explains Rob. Working alongside architect Tim Stewart, CSR Gyprock plasterboard products were specified throughout the home, covering the projects needs across acoustics, durability and fire performance levels. To add a unique design element, Rob envisioned curved walls, which were achieved with the use of Gyprock Flexible Plasterboard. “Featured throughout the hallways and in the rumpus rooms, the curved walls soften the transition between the zones whilst adding an architectural point of interest – my favourite feature by far,” says Rob. “Working with Gyprock has allowed us to incorporate quality building materials and finishes, and I only ever wanted to use the best of the best for my dream house. After two years in the making, my wife and I are extremely proud of what we can now call home,” concludes Rob.